Free software used to permanently clean system traces. 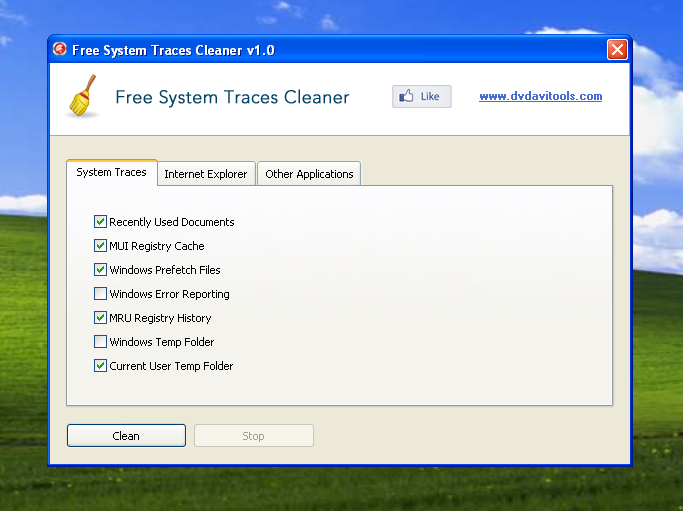 Free System Traces Cleaner is a free software used to clean system traces, such as last opened documents, current user temp folder, Windows temp folder, Java cache, Adobe Flash Player history, Windows prefetch files, MRU registry history, MUI registry cache, Internet Explorer cache, Internet Explorer history, etc. The usage is very easy, just select what traces you want to delete and click the button “Clean”. We recommend to close web browsers and other applications in use before clean traces.